If Gangnam is for the K-Pop lover and Hongdae is for the young partier, Insadong is one part of Seoul where you can find tourists from all over the world of all ages. At any given minute, a tour bus full of Chinese tourists might be rubbing shoulders with a young couple from Italy or passing a group of older Koreans walking out from an exhibition. Stretching just over 700 meters, the small street lines up a repeating mix of tea café, art gallery, crafts store and souvenir shop. The street’s reputation for arts and crafts even dates back to the Joseon Dynasty when a government-operated group of painters called dohwason populated the street. According to the Korea Tourism Organization, 40% of Korean crafts are still exchanged at this street. Visiting Insadong won’t feel like you’re taking a path off the beaten track–after all, even local Koreans feel like tourists here. 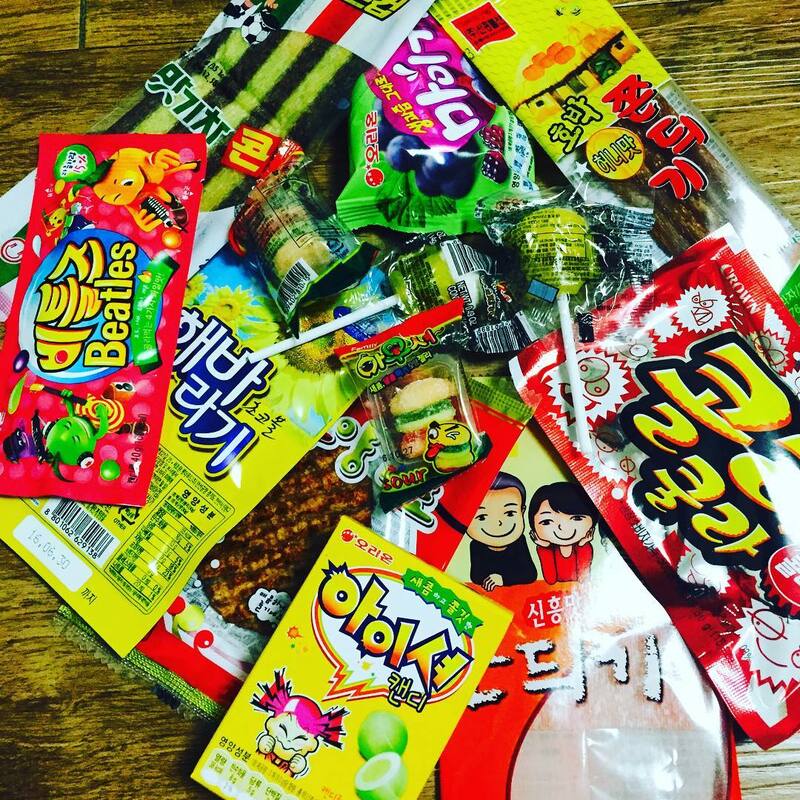 Instead, you’ll get a good sense of how much Korean traditions influence contemporary culture. Insadong is located on a street that cuts through from Jongno 2-ga to the Insadong intersection. The main Insadong street is in walking distance from Anguk Station, Jonggak Station and Jongno 3-ga Station. However, the walk from Jongno 3-ga can be quite convoluted. If you are just visiting the city and not too map savvy, it might be easiest to leave from Anguk Station. Subway Anguk Station (Line 3) - Take the AREX to the last stop, Seoul Station. Transfer at Seoul Station to the subway for Line 4. (There is no direct connection. You need to get out of Seoul Station, walk across the train line to the subway line.) Take Line 4 to Chungmuro Station, transfer to Line 3 for Anguk Station. Exit 1 : Take a sharp right after you leave Exit 1 and you will be walking away from Insadong, towards Samcheong-dong. Exit 2 : Walking straight out of Exit 2 will take you to the Bukchon Hanok Village. Exit 3 : Walking straight out of Exit 3 will take you towards Changdeokgung Palace. Exit 5 :Hidden between large buildings out of Exit 5, you’ll find dozen of small art galleries. Exit 6 :Walk straight out of Exit 6 until you see a Tourist Information Center before the Insadong Intersection. Make a left there for the main Insadong street. Exit 1 : Walk straight out of Exit 1 for 5 to 10 minutes to reach Gwanghwamun. Exit 2 : Walk straight out of Exit 2 to reach Jogyesa Temple. Exit 3, 7, 8, 11 : Out of this exit, you can reach Pitmotgol Street, Tapgol Park and the Jongno 2-ga Intersection. A left from the Jongno 2-ga Intersection will lead you on the main Insadong Street. Exit 3-1 : Walk out of Exit 3-1 until you reach Insadong 5-gil. This street will lead you towards the main Insadong street. Exit 4 : Right behind this Exit is the famous Jonggak Bell which is rung on the first day of the year and other special occasions. Exit 5, 6 : Walk straight out of this exit to go towards Myeongdong. Along the way you’ll see Cheonggyecheon Stream. Tip : The wide availability of buses in the Jongno 2-ga area makes it the easiest way to travel as long as there is no traffic. This is especially true if you are going towards Gangnam. Traveling at non-peak hours can mean you’re at Gangnam Station in under 30 minutes. Although the Center Mark Hotel’s website suggests that the hotel is located ten minutes away from Insadong, the truth it that’s definitely closer to 2-3 minutes. Popular amongst many families, many international students and expat-residents choose to put up their parents here. Not located on the main Insadong street, the street is extremely quiet at night while there is a slew of amenities nearby during the day. A 10-minute walk away from Insadong, the ibis Ambassador Insadong has gained a bit more visibility with the rise of the trendy nearby neighborhood Ikseon-dong. Although the small alleyways around this hotel may feel dodgy at times, many of them have a dim charm at night (and are relatively safe). The rooftop garden, where drinks are served, is especially great during the summer. From the rooftop and several of the hotel’s rooms, you can get a clear view of Namsan Tower. 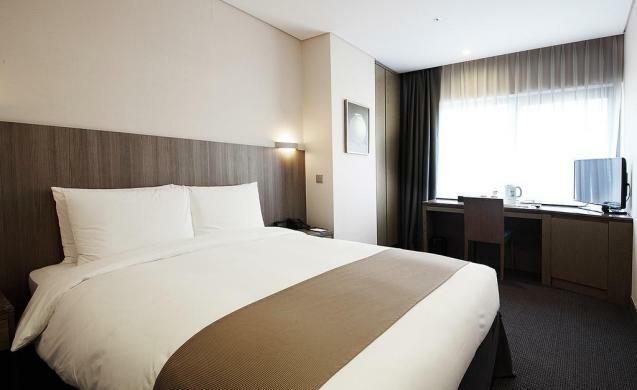 Located right across the street from Changdeokgung Palace, the AMASS Hotel is one of the best boutique hotels in Seoul. With an impeccably clean décor and industrial brick interior, small touches such as the welcome package and the rainforest showerhead are sure to be remembered. From the rooftop, you have a spectacular view of the palace. Who knew that you could have a private room for two overlooking Cheonggyecheon Stream for less than $60? Although this “hotel” has much more of a hostel vibe, the small space does include a flat-screen television, clean bathroom and air-conditioning. 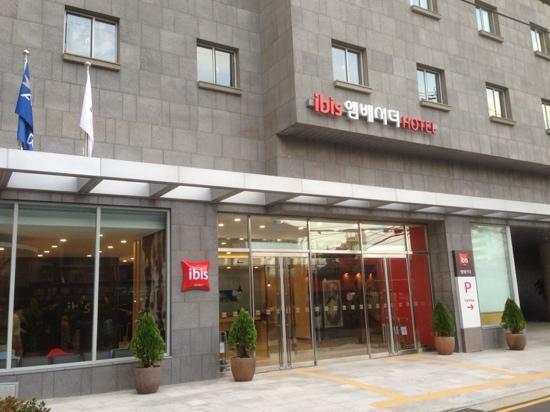 It’s has easy access to all the best attractions in Seoul and has a great price for the great location. 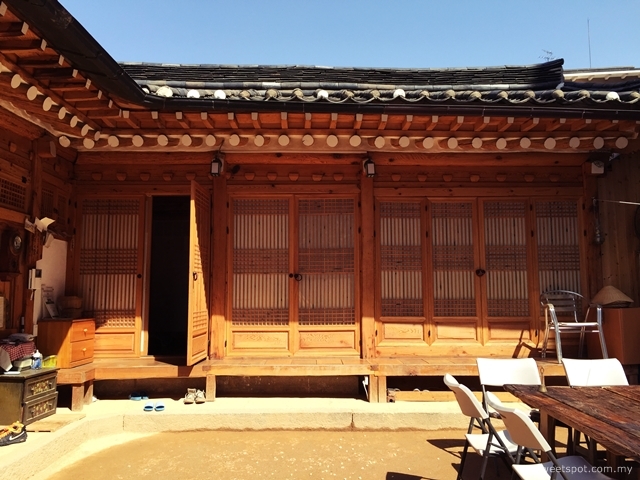 One of the most popular hanok guesthouses in Seoul, Namhyundang offers three different types of Korean-style rooms–twin, double and family. For a truly unique and experience, you’ll be given a thick mattress to sleep. During the winter, the floor heating makes it especially nice and during the summer, having breakfast served to you in the hanok’s indoor garden is also a pleasant experience. For a neighborhood so rich in traditions, it is surprisingly difficult to walk into a great restaurant in Insadong. While chain restaurants are probably a safe bet (not amazing, not terrible), what looks like a hole in the wall gem may turn out to be a disappointment–and an expensive one at that. If you are a vegetarian or a strict Buddhist, however, this neighborhood is one of the best options to have meat-free Korean-style temple food. Be cautious of the Korean course meals; unless you’ve been recommended one previously, as they can definitely be tourist traps. Although asking for menus before you enter is not common, you can go ahead and do that in this part of town. The BBC, Vice Media and over 10 million travelers just like you have used our insider knowledge and tips to explore Korea. The newsletter is the best way to get our best content. P.SWe value the trust you put in us and will never share your information. 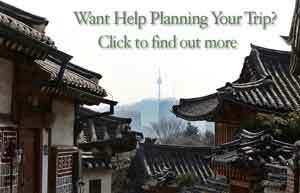 .We’ll only send you great content from inside Korea. 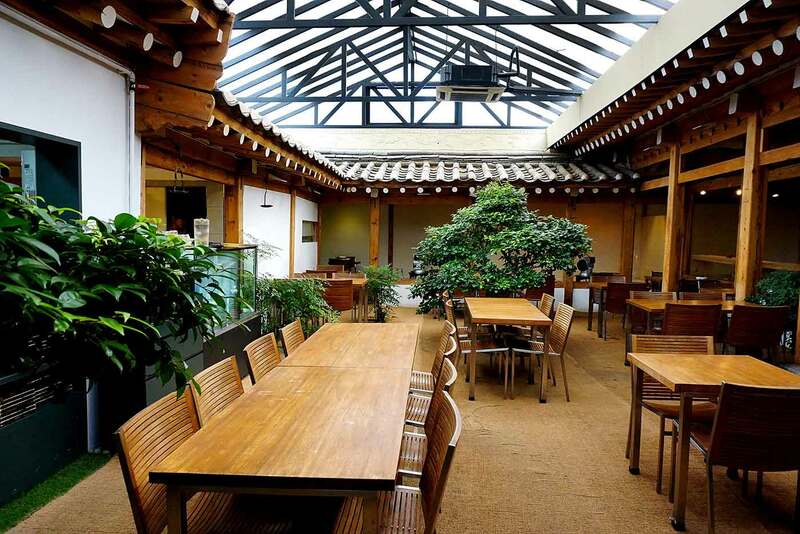 (한과채) This Korean vegetarian buffet restaurant in Insadong opens only for lunch. Han Gwa Chae offers various home-cooked Korean dishes. While the menu may vary from day to day, pickled vegetables, tofu and jeon (fried Korean-style pancake) is almost always available. The restaurant asks that you only use one plate, but you are welcome to fill it up as many times as you like. 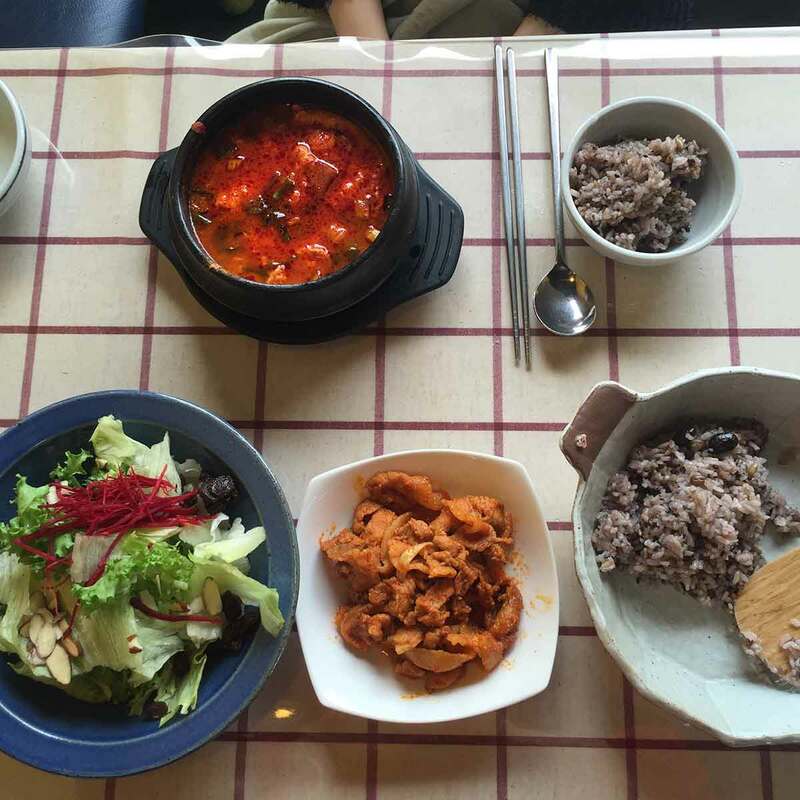 With plenty of options for vegans in Seoul, you could make this a go-to if you’re feeling really hungry. 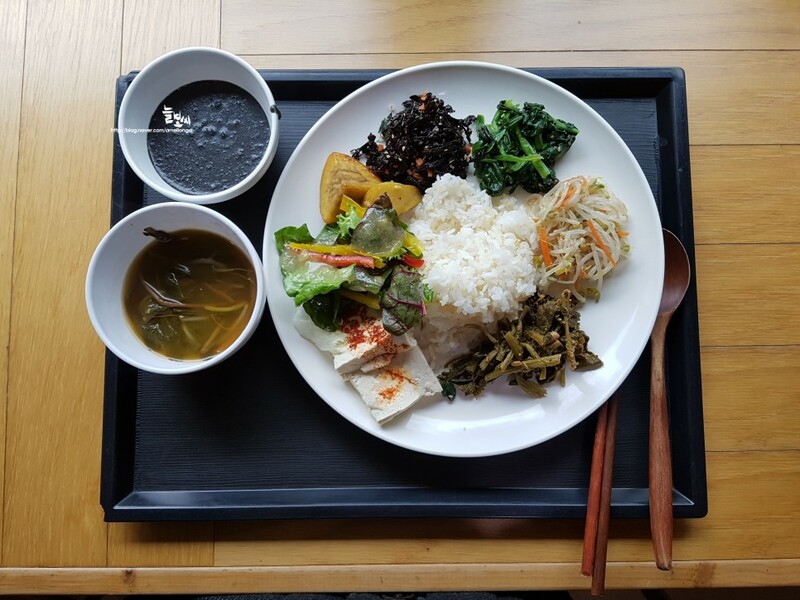 Located on the second floor of the Temple Stay Information Center, Samso is an under-appreciated Korean Buddhist temple food restaurant that offers delicious dishes at a bargain. 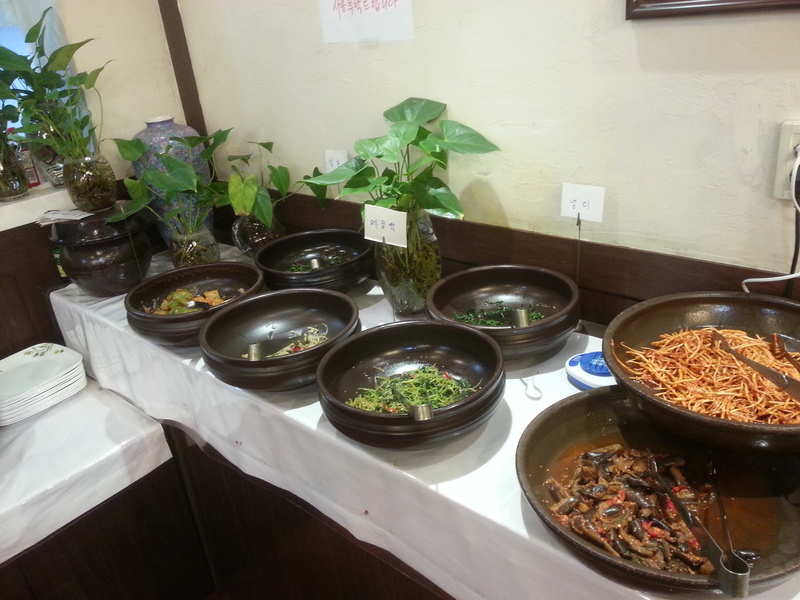 During lunchtime, the restaurant is open for an 8,000 won buffet in addition to the regular menu. For those looking for more authentically Korean dishes, you can try mainstays from the regular menu such as the cheonggukjang (fermented soybean soup) or the lotus-wrapped rice. Of course, if you’re looking for vegan food in Korea, the monks have you covered. Tip: Although the food is clean and delicious, to be culturally sensitive, don’t gorge yourself. Buddhism is about temperance and self-control. Note: Upstairs on the 5th floor is for those more gastronomically inclined at the 1 Michelin star, full-course Buddhist temple cuisine restaurant, Balwoo Gongyang. Si Hwa Dam is a modern hanjeongsik (full course) restaurant in Insadong with another branch in Itaewon. The dishes here are well-prepared and never over-salted–making it a good introduction to Korean food if the bubbling stews don’t immediately win your heart over. And it’s a full-course meal, so if you’re a Korean food lover, you’ll get the best of all Korean food The course menus are not unreasonable priced, especially for the experience. This is a good pick if you’re looking for good Korean food in Insadong. 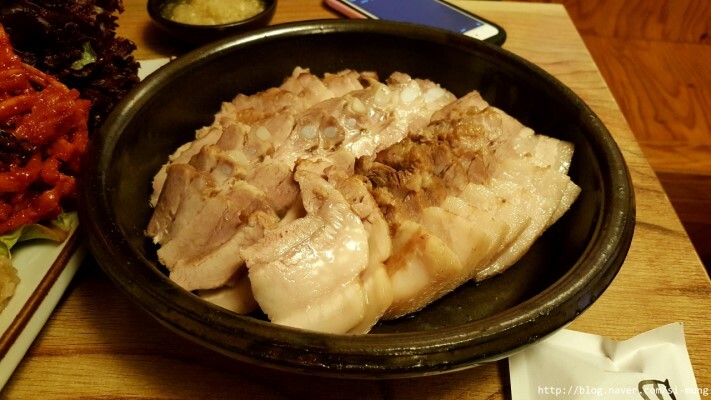 (택대리네 마늘보쌈) A local favorite, this restaurant in Insadong serves exactly what it promises to deliver–thick slices of boiled pork smothered in garlic. Wrap your slice of pork in either the refreshing, white kimchi or the spicy, red one and prepare to enjoy a tantalizing combination of meat and flavor. Side dishes such as the binddaetteok (mung bean pancake) are also delicious if you’re coming with a large group and looking to share dishes. (교동두부) Located right near Anguk Station, this three-story establishment fills up with nearby police officers and office workers during the week. The sundubujjigae (tofu stew) here is probably the most poplar dish here, and you can tell that they don’t add MSG like many other stew restaurants these days. The portions that they dish out for the side dishes are quite generous as well. The welcoming staff make coming to this Insadong restaurant additionally nice! (떡싸롱) If you’re in love with Korean street food but don’t enjoy sitting in those plastic tents, Tteok Ssalong is a nice alternative. Here you can find the best savory Korean street food in addition to real chairs and tables to eat on! 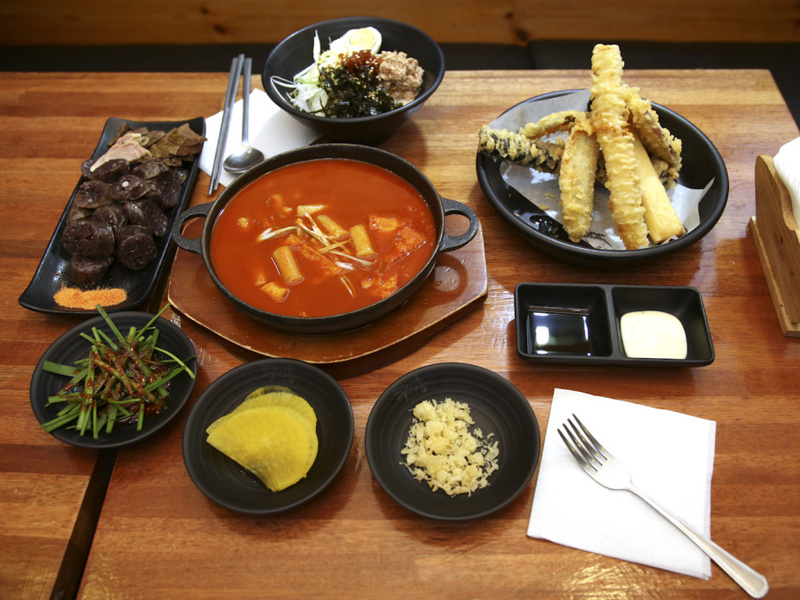 The Ssalong Set that includes tteokbokki (spicy rice cakes), twigim (Korean tempura), bibimbap, soup and a beverage. It’s a great deal for 11,500 won. While even being on Insadong itself might feel historical, there are many historical sites around the Insadong area to be explored. Many of these sites are filled with locals (as opposed to tourists) and often overlooked in today’s world of Hallyu travel. (운현궁) Right next to Anguk Station, Unhyeong Palace dates back to the times of young King Gojong–the last emperor of the Joseon Dynasty and founder of the Empire of Korea. While this palace may be the less frequented of the Five Grand Palaces of Seoul, the lack of large tour buses can give you the feeling that you have the place to yourself. Due to damage from Japanese colonial period, much of the palace is a reconstruction of its former self. 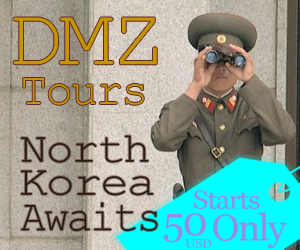 The admission is free and you can also rent an audio guide for just 1,000 won. 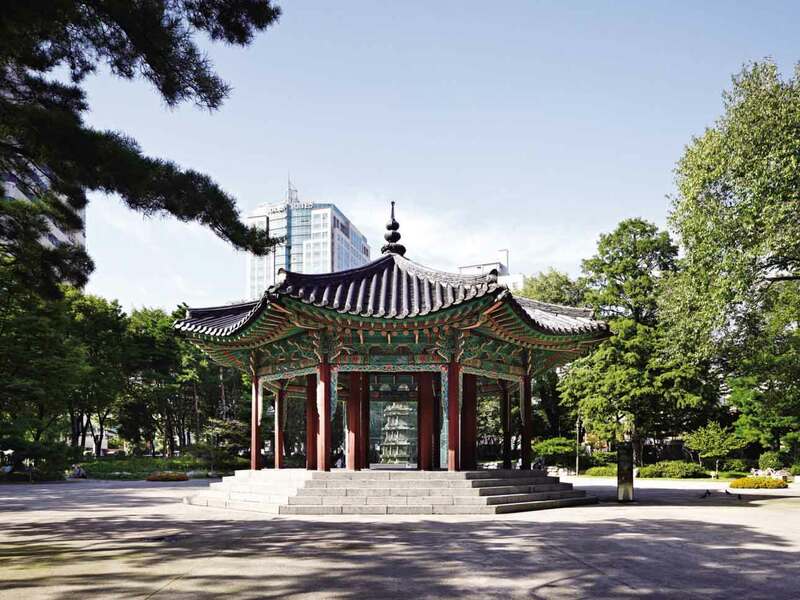 Located on Jongno2-ga, Tapgol Park is Seoul’s first modern park and a short trip here can walk you through the different obstacles that South Korea has faced in its history. Inside the park, you’ll find the Ten-story Stone Pagoda of Wongaksa Temple Site, Palgakjeong Pavilion, March First Independence Movement Monument, Statue of Son Byeong-Hee and the Statue of Han Yong-Wun. The park marks the beginning of the independence movement from the Japanese as the Korean Independence Proclamation was read here on March 1st 1919. (March 1st is now a national holiday). A location for several films and historical dramas, Tapgol Park is known as a hangout spot for many elderly men and war veterans. However, if you’re in Insadong, there is no way that you can miss this site rich with so much history. Unlike the gallery areas in Cheongdam or Samcheong-dong, you might find the Insadong art area to be much more local. With so many galleries sardined right next to one another, it’s difficult to generalize what kind of artwork is showcased here. In one gallery, you might be looking at the photography of a hobbyist in a room full of the artist’s friends and in another; you might be seeing the groundbreaking work of a new artist from Taiwan. Artwork in Insadong does tend to include more amateurs (or those who can afford to rent out the galleries) and have more artwork from local artists. It’s quite rare to see a European artist exhibit here, for instance. Galleries also vary heavily depending on what exhibition they have on at the moment. If you’re not too choosy about what kind of artwork you’re viewing, just pop into some of these venues and check it out for yourself. One of the larger galleries in the Insadong area, many tourists stumble into this gallery because of the bold, black entrance. While normally, small exhibitions run throughout the building, the center will occasionally have one special exhibition consume it. There may even be a cover charge at times so if you’re looking to stroll in and stroll out–this may not necessarily be the option for you. (갤러리 라메르) Randomly walk into Gallery La Mer, and it’s difficult to know exactly what you’ll find. Past exhibitions have included media art, fine art as well as contemporary photography. It’s notable that, occasionally, the artists themselves sit at the doors and are willing to discuss the artworks with you. 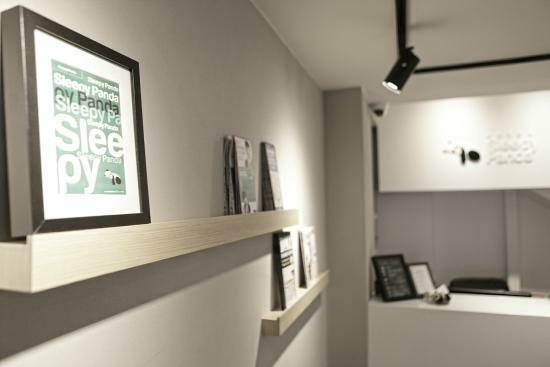 This is one of the more well-known art galleries in Seoul, so stop by if you’re in Insadong. 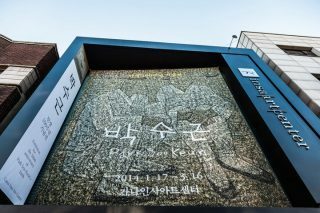 One of the most loved art galleries in Seoul, this museum is divided up into an outdoor space, a store, three different exhibition halls and a renown tea café named Dawon. 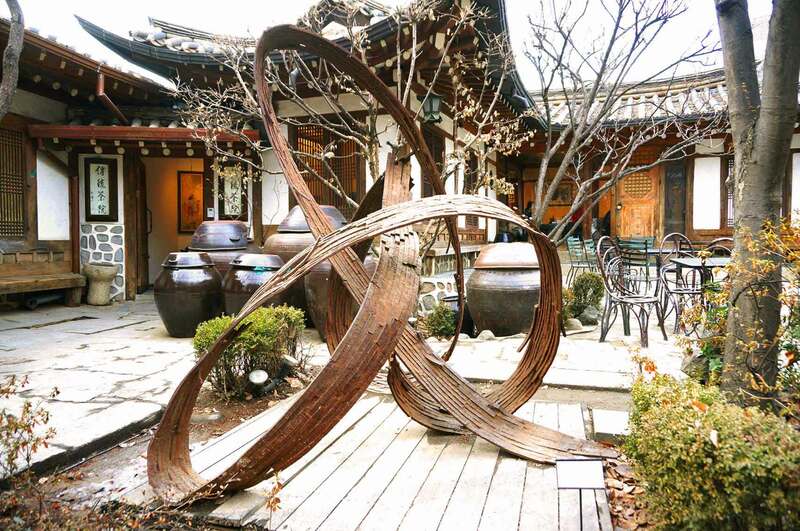 As the museum itself is a beautiful traditional hanok, it attracts tourists who are not only interested in the museum’s rotating exhibitions, but in architecture. 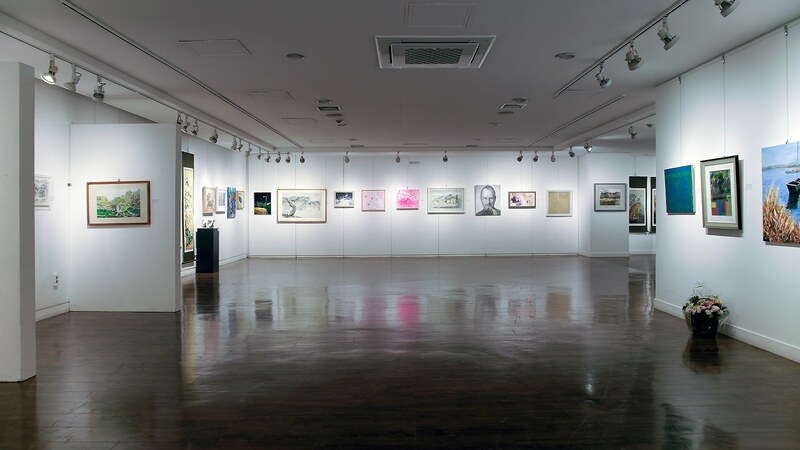 It’s definitely one of our top picks for best art gallery in Seoul. The main Insadong street is filled with small tea houses advertising “traditional Korean tea.” Although many of them have the worn-out aesthetic fun for photographing, you might not be getting the highest quality tea at most places. The price of tea can be even more than the price of a budget meal on this street so be careful where you go and be sure that you’re well aware of what you’re getting yourself into. Likely the most well-known Korean tea brand, the tall O’Sulloc building across from Ssamzigil on the main street of Insadong is hard to miss. Not only can you buy a whole wide range of teas on the first floor, you can also order a beverage and drink it on the third floor. The spacious seating and the large plush seats make it a great place to enjoy a drink or a dessert from the first floor. (During the summer, the green tea ice cream is delicious!). Take a seat by the window for some fun people watching. 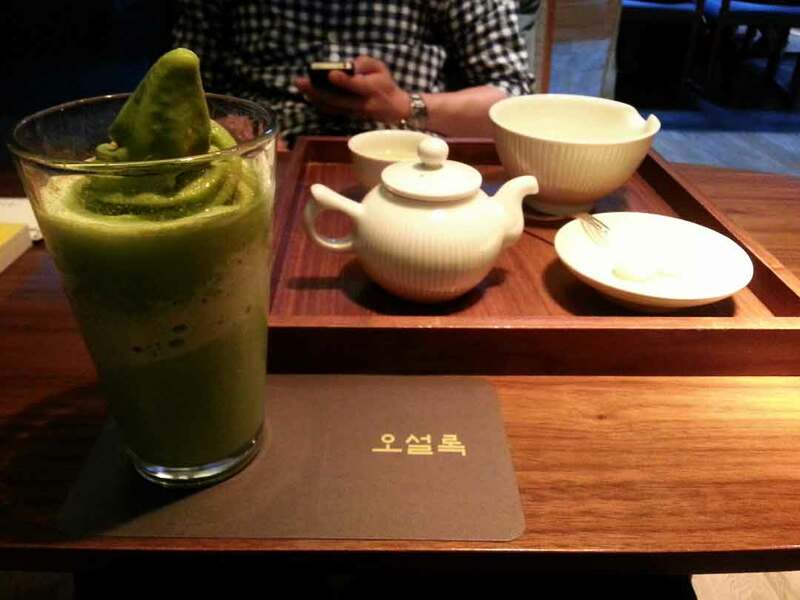 (아름다운차박물관) If you’re not a tea fanatic, this museum may seem a bit a bit boring. If you are crazy about teas, however, this is one place you definitely have to visit. It is in fact part museum, part store and part café. Tea items from Korea, China and Tibet are on display and if you’re there to imbibe–you have a great selection of over 130 teas to choose from. And of course, the interior itself is one of the reasons this is one of the best tea houses in Seoul. 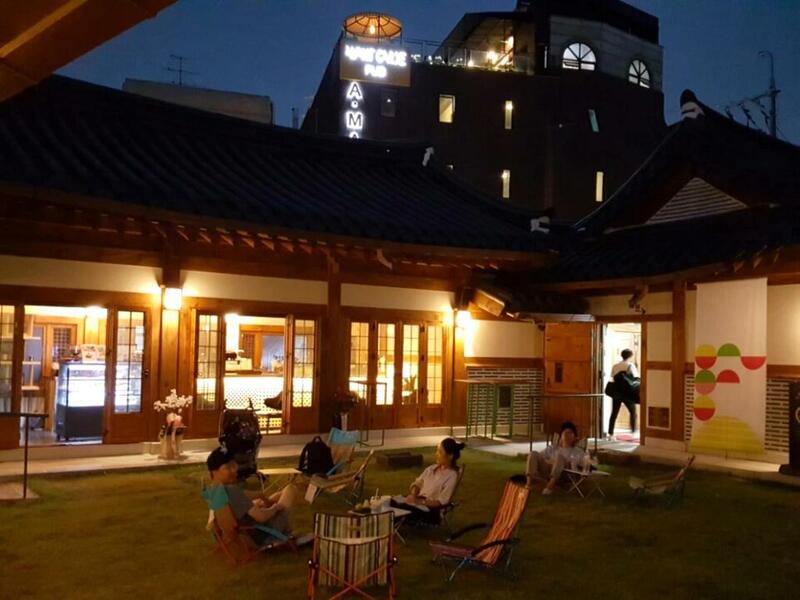 (47번가 찻집) A large beautifully renovated hanok tea café located right in the heart of Insadong, this Insadong tea house has indoor-floor seating for those seeking a traditional experience of what tea houses in Korea were like in the old days. This is especially great if you’re there on a cold winter day and want to feel the warmth on your tush. But if sitting on the floor isn’t too easy for you, they have modern seating with tables and seats as well. One of the best seats in the entire tea house is at the front entrance where there’s a room with open air windows you can sit apart from the rest of the customers. The tea that is served here is handmade and everything from the red beans in the summer desserts are prepared in-house. 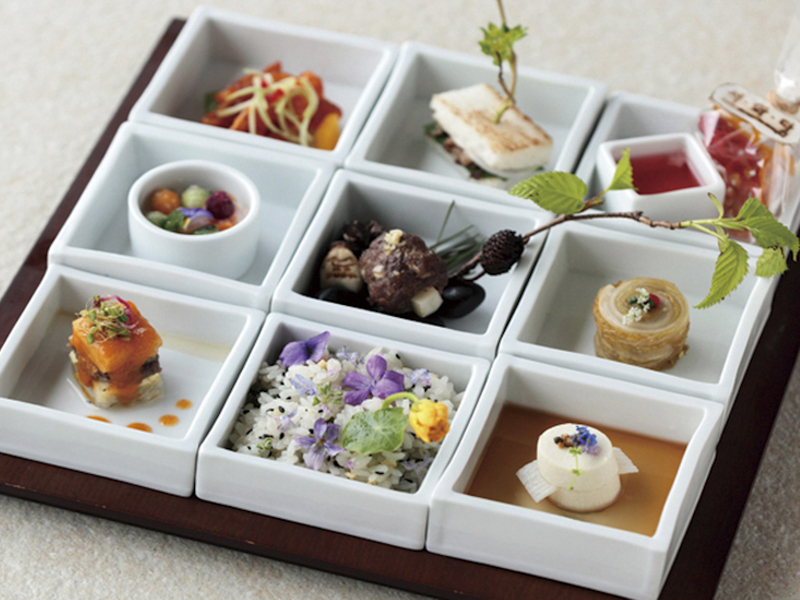 They also serve other traditional Korean snacks such as rice cake (tteok). It’s a great place to come and relax after a long day of shopping and after a filling meal. (빤짝빤짝빛나는) Twinkle Twinkle Tea House (Ppanjjak Ppanjak Bitnaneun) is a second floor tea house that combines traditional Korean teas in a cute and cozy atmosphere. 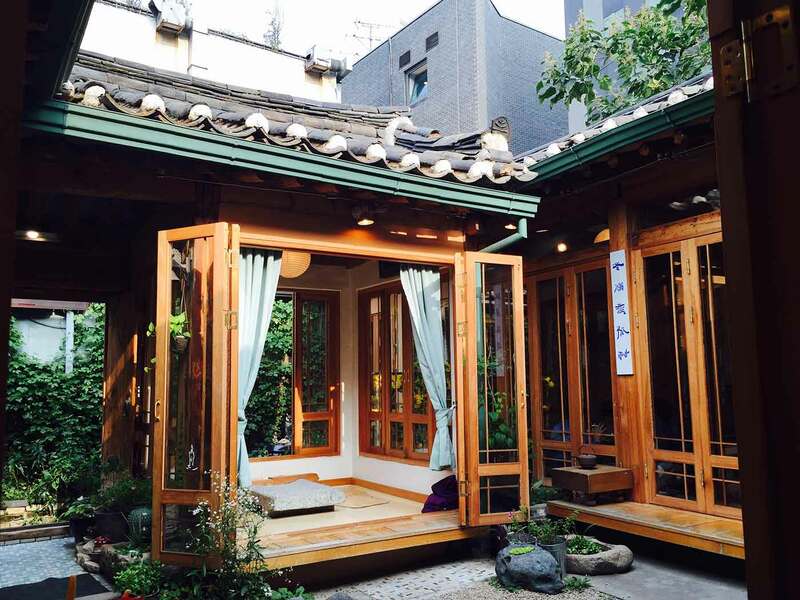 This remains one of the most popular tea houses in Seoul for young Koreans. The tight seating might make being there for long hours quite uncomfortable but the teas are exactly on point. 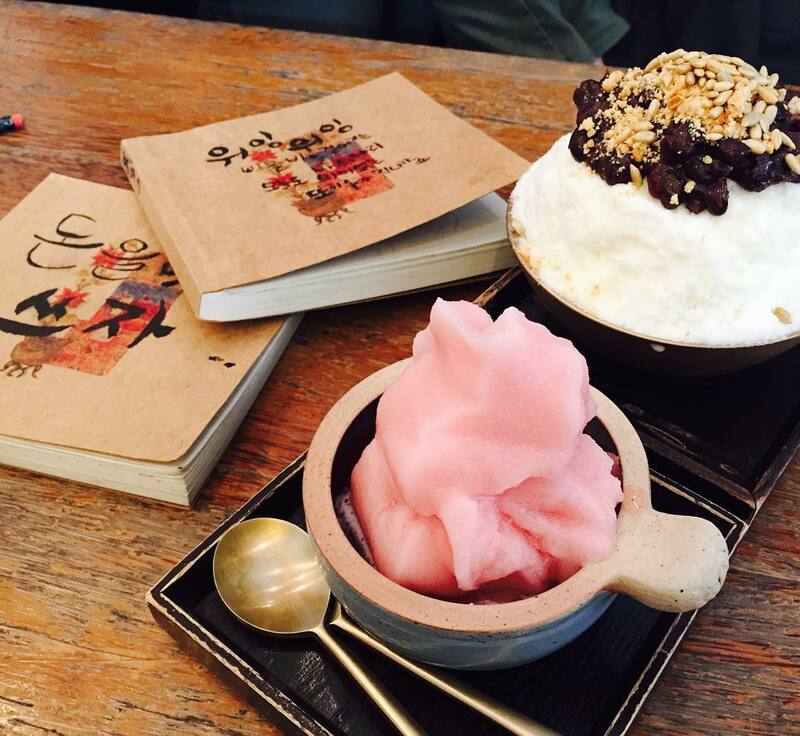 The mugwort tea and the omija are two popular items and during the summer, and the bingsu (or shaved ice dessert) is a loved seasonal dessert hit. After navigating the crowds, shopping for some souvenirs, and eating some delicious eats, come to this Insadong tea house for some rest and dessert. The go-to neighborhood to get a hold of traditional-seeming products, Insadong is filled with dozens of souvenir shops. Truth be told, it’s quite difficult to buy authentically Korean products on Insadong these days. (Many of the goods that you find in Insadong are either made in China or made in Vietnam). However, the reality is that so called authentic Korean products can simply be unaffordable. Make sure to buy products that you don't value for their authenticity per se (be especially careful with ceramics and artwork) or talk to a trustworthy shop owner beforehand. Postcards, key chains, magnets are safe bets. You can also get your hands on hanji (traditional Korean paper) as well as products made with hanji. Souvenirs you might be willing to spend some money on are dojangs (customized seals with your signature engraved on them). Prices range from 30,000 won to 60,000 won and won’t differ from store to store. Often, you can find someone seated at a small booth willing to do the engraving for you. In the past year, the street has also seen a rise of modern hanbok (traditional Korean clothes). While the street might not offer the best prices, there is a large assortment of chimas (skirt bottoms) that might be a hassle to find elsewhere. This small mall located in the center of Insadong’s main street is one household name here in Seoul. 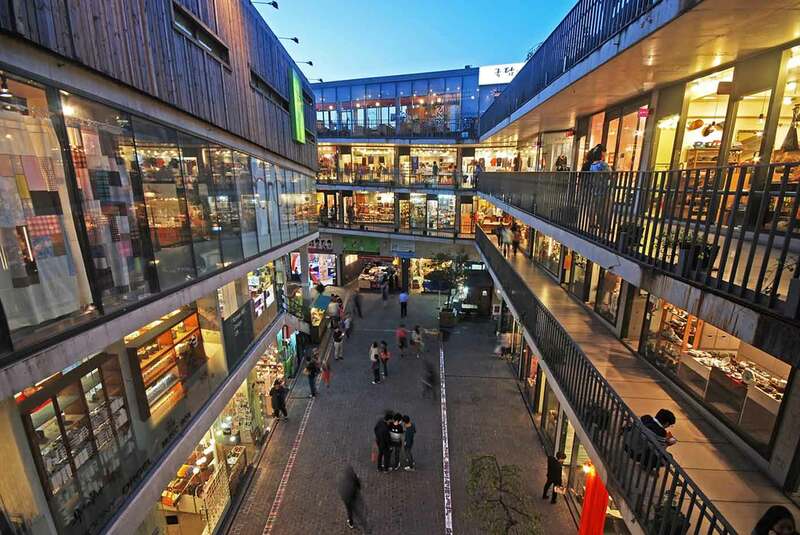 With over 70 shops, there’s lot of window-shopping to be done and cute, quirky items for purchase. 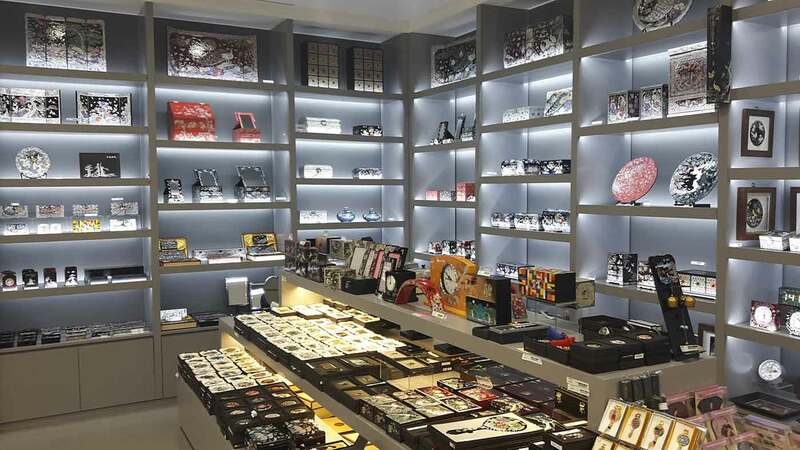 Popular goods to pick up at Ssamzigil include jewelry, scarves and collectable miniatures. On the top floor, there is also a nice rooftop space perfect for taking selfies. If you’re looking for traditional things to buy in Seoul (or even if you’re wondering what souvenirs to buy in Korea), Ssamzigil is a good bet. The shops here have a host of cool traditional Korean goods to buy. Located at the entrance of Insadong on the Jongno2-ga side, Nakwon Arcade is every music lover’s dream. Built in 1968, the building is three stories of music stores all in one location. 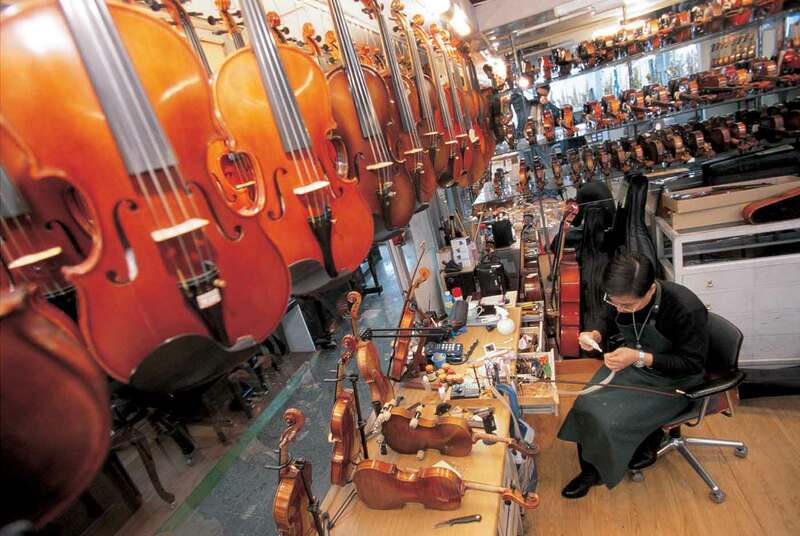 It is, in fact, the largest collection of instruments in Korea. Enjoy the different sounds as people test out new guitars or marvel at the drum pedals from 20 years ago. The tough salespeople inside are also quite the characters once you get chatting with them. (토인) For those that grew up in Korea anytime from 1960 to 1990, you can’t help but have a love and hate relationship with this store located right next to the main Ssamzigil entrance. A nostalgia shop of sorts, you can find all types of fun things to buy–cut-out paper dolls, candy and gum from the 1980s as well as other toys from that era. It’s not as cheap as the corner store that many of us remember, but that’s if you’re thinking 1960s prices. This is a unique shop in Seoul for those that want to buy things you can only buy in Korea. (한국관광명품점) If we’re talking safe bets, the National Souvenir Center is full of them. Since this souvenir shop in Korea is operated by the Korea Tourism Organization and the Ministry of Culture, Sports and Tourism, you can be quite sure they’re not trying to rip you off. It may feel like cheating to buy all your souvenirs so easily, but the multi-lingual staff and the decent prices make it a deal you can’t refuse. 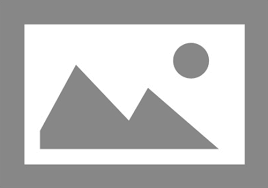 This is probably the best place to go if you’re wondering what souvenirs to buy in Korea. While Gwangjang Market might be the place to go to for trying all different kinds of traditional Korean street food, it can be somewhat of an intimidating space. During peak season, the lines can long and aggressive and during the summer, it can be swelteringly hot. You simply can’t there and pick up one or two snacks and walk around. Insadong, however, offers that option and doesn’t stoop low with taste either. Hotteok (hot filled pancakes) of several different variations are especially delicious on Insadong and some things like green tea hotteok can exclusively be found on Insadong. At the entrance through Jongno 2-ga, you’ll find a small square with tteokbokki, soondae, bungeo-bbang (red bean filled pastry shaped like a fish), corn dogs and ice cream. You won’t get the experiment street food like they have in Myeongdong, but trust us–you’re better off without it. PR Center is actually a strange term for this cultural center and historical site. 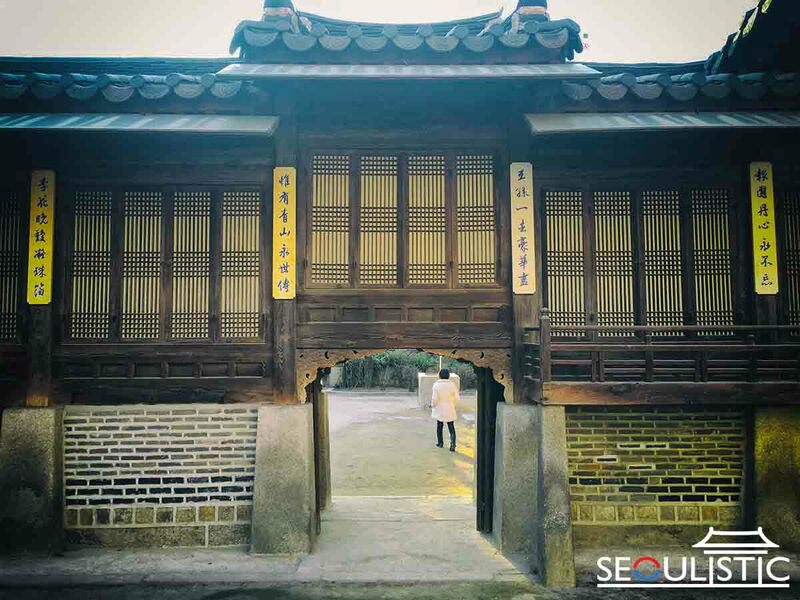 Located within a hanok built by Prince Ulchin who lived sometime from 1877 to 1955, the Insadong PR Center is one place you go can go with questions about Insadong, interpretation services and even to try on hanbok for 3,000 won. Their hanbok experience is only available within the center but has been one of the most popular services. It is only available from 10am to 5:30pm.